Active skin demands a true performance sunscreen. KINeSYS SPF30 Mango Spray Sunscreen offers the very best UVA/UVB Broad Spectrum protection while allowing your skin to breathe. Active skin demands a true performance sunscreen. 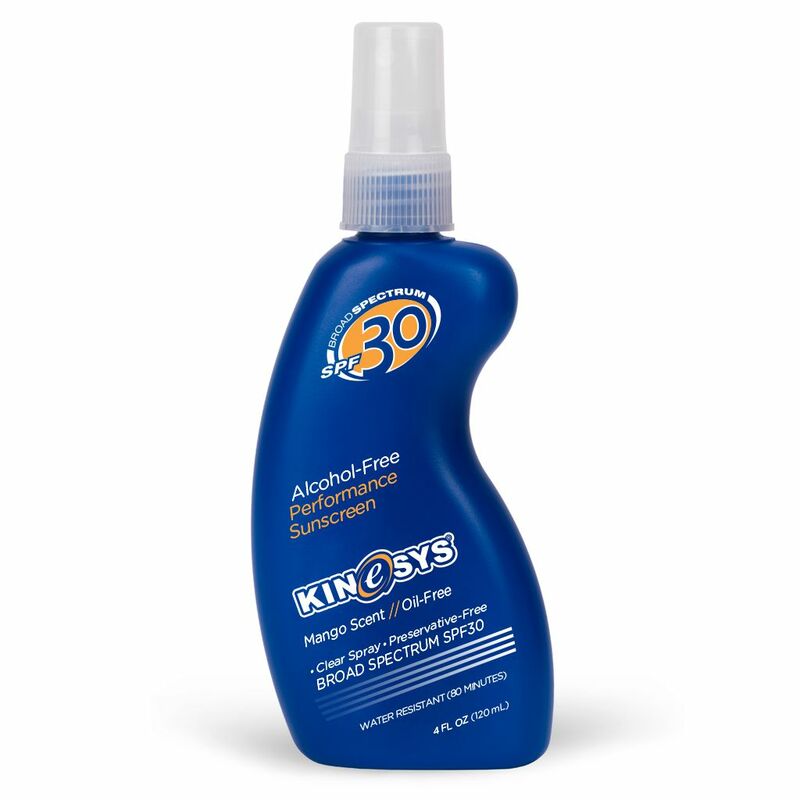 KINeSYS SPF30 Mango Spray Sunscreen offers the very best UVA/UVB Broad Spectrum protection while allowing your skin to breathe. The non-aerosol, family size spray makes applying KINeSYS quick and easy for the whole family. What we leave out and put in makes SPF30 Spray best for active skin.